Cannabis software company Sprout is active in 13 states and recently launched into two international markets. The company’s underlying technology, built 12 years ago, serves as a CRM platform at its core with a robust suite of sales and marketing tools. Founder and CEO Jaret Christopher spoke with New Cannabis Ventures about the competitive landscape for his company, how Sprout helps cannabis companies grow and how he sees the market evolving. Over the past 20 years, Christopher has built his career as a serial entrepreneur, building a number of software and SaaS-based businesses. Prior to Sprout, he founded a CRM marketing software company for the banking industry. After a successful exit, he began investing in and advising companies in the Boston area, which led him to the CRM and marketing company that spun out Sprout. The company had a few medical cannabis dispensaries using its software, and after researching the cannabis industry and its growth potential, Christopher acquired the company and recruited his team from former ventures. The Sprout platform is designed to help cannabis companies and brands acquire new customers and retain existing customers with the help of sales and marketing tools. Cannabis companies can use the company’s digital kiosks in their stores, website integration, and texting features to connect with their customers through product information and rewards. The Sprout platform also collects data that helps cannabis companies and brands build marketing strategies around customer preference and usage patterns. At this time, Sprout occupies a relatively unique niche in the cannabis space. While the company offers all-in-one CRM and marketing tools, most other cannabis companies in the space are focused on back-office functions like inventory and point-of-sale, according to Christopher. This means the competitive landscape is fairly open for Sprout, and the company actually partners with a number of other software companies, such as Flowhub and Greenbits. Integrating with other software platforms gives cannabis companies and brands access to large amounts of data from the point-of-sale level that can be used to create robust marketing campaigns on the Sprout platform. When Sprout went into business, its team wanted to work with other leaders in the cannabis space, which led to a strategic partnership with MariMed. Christopher and his team found that multi-state operator MariMed to be a valuable partner in testing the company’s technology and products, an important piece of Sprout’s product roadmap. With clients like Liberty Health Sciences, Mayflower, Hashtag Cannabis, and Western Bud (to name just a few), Sprout has a diverse range of customers in terms of size. In addition to its 13-state footprint in the U.S., the company has just launched into Canada and Mexico. In the near-term, the company will be focused on those three markets. Right now, the company has 12 employees, but Christopher expects that number to double over the next 12 months as Sprout continues to grow. Looking ahead, the company is focused on enabling their global cannabis company clients to take its enterprise software platform into every country they are doing business. As a spinoff of a profitable company, Sprout initially had the resources to self-fund. In 2018, the company did a capital raise with participation from strategic partners and high-net-worth individuals. The company is well-funded now, but another a raise later this year is a consideration, according to Christopher. At the moment, Sprout is focused on execution and expanding market share. The company is experiencing double-digit growth each month and is set to become profitable by the end of the year, according to Christopher. Sprout is growing quickly, but Christopher and his team are focused on scaling in a strategic manner. As the market evolves, Sprout will maintain the necessary flexibility to keep up. Christopher saw the banking industry shift toward a single system of record, bringing together data managed across multiple systems. He expects the cannabis industry will undergo a similar shift, and Sprout’s centralized CRM system is aiming to be that holistic solution. Carrie Pallardy, a Chicago-based writer and editor, began her career covering the healthcare industry and now writes, edits and interviews subject matter experts across multiple industries. As a published writer, Carrie continues to tell compelling, undiscovered stories to her network of readers. April 1st, 2019/ BOSTON, MA/ – Liberty Health Sciences (CSE: LHS) (OTCQX: LHSIF) announced today it has expanded their relationship with Sprout, an all-in-one CRM & marketing platform for the cannabis industry, and has deployed their software across 12 Florida dispensaries. Liberty is using Sprout to build one of the largest consumer databases of medical marijuana patients in Florida and to automate its marketing while driving online orders and in-store purchases. “Sprout has played a significant role in our growth and is a true technology and data partner. We were looking for a more robust enterprise solution for marketing and CRM and Sprout has proven their ability to deliver on that need”, stated Liberty’s Marketing Manager. Sprout’s all-in-one CRM, marketing and customer loyalty software combines database management with smart filtering technology making it easy for Liberty to send personalized multi-media text messages and emails to their patients. Liberty is the cannabis provider committed to providing a trusted, high quality cannabis experience based on our dedication and genuine care for all cannabis users and a focus on operational excellence from seed to sale and beyond. Liberty’s measured approach to expansion opportunities maximizes returns to shareholders, while keeping consumers’ well-being at the forefront of what we do. For more information, please visit: www.libertyhealthsciences.com. Today, Sprout the all-in-one CRM & Marketing Platform for the Cannabis Industry, is announcing two (2) international deals that have opened up the company’s profound abilities to service these markets. Cannabis & Coffee (www.cannabisandcoffee.com), a Toronto, Canada based café joined the Sprout Platform in early 2019. Cannabis & Coffee utilizes the Sprout texting platform for customer acquisition and subsequent text marketing initiatives to incentivize customers to continue their patronage with their brands. As well, another division of the Cannabis & Coffee family, a cannabis logistics company, utilizes the Sprout mobile landing page offering to send out menu offerings and updates for their services. 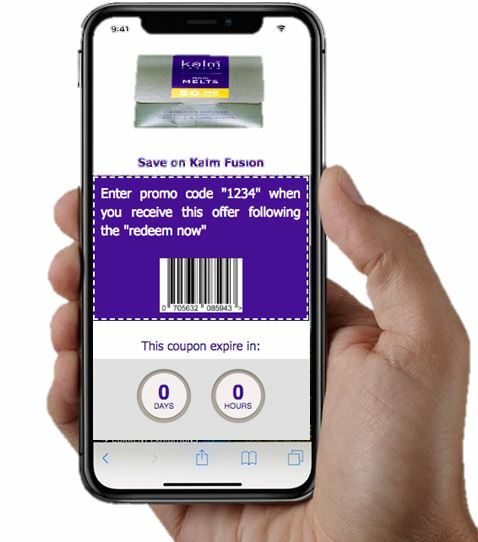 Cannabis & Coffee, currently is sending 200,000+ texts per month, has quickly built a text marketing outreach of nearly 20,000 VIP members that they are able to incentivize each day with coupons, offers and automated happy birthday announcements. Additionally, Farmacias Magistrales (http://farmaciasmagistrales.com.mx), the leading Mexican compounding laboratory with a license to import raw materials containing > 1% THC in Mexico, and Sprout also announced a partnership whereas Farmacias Magistrales will distribute Sprout’s software exclusively within the Mexican cannabis market. With this partnership, Sprout becomes the 1st cannabis CRM software company to enter the Mexican market. Farmacias Magistrales and Sprout are working together to install its CRM and marketing software in several Mexican pharmacies and have an aggressive plan in place to roll the Sprout solution to many more locations. Magistrales CEO, Erick Fanghanel said, “Working with a cutting-edge software company like Sprout, will allow our pharmacies to have a frictionless way in collecting patient data, as well as a tool to help educate doctors on the benefits of using and prescribing cannabis”. Over the next few months, the Sprout solution will be installed at pharmacies and retail locations throughout Mexico City, allowing these pharmacies and retailers easy access to information which will allow them to educate patients and doctors alike. We are a chain of pharmacies run by pharmaceutical professionals, with the aim of providing comprehensive care with excellent service to their patients. We are currently focused on positioning ourselves in the pharmaceutical market as a leading company in the development of masterful recipes. We have a technologically equipped master preparation laboratory approved by the Ministry of Health, in which products with state-of-the-art technology are elaborated under Good Manufacturing Practices (BPEM) standards. A Canadian cafe with a great atmosphere and spectacular coffee. As soon as you walk-in, you will be transported back in time to an era of Jazz, Class, and Art Deco, well… except the Free Wifi. Whether you need a coffee-to-go, a place to chill, or have some Cannabis related questions you need answering, C & C is the place to be! Visit at www.cannabisandcoffee.com. Contact Peter Barry for inquiries; peter@cannabisandcoffee.com In the United States, text ‘cc’ to 411669 for more info. BOSTON, MA and Newton, MA, Sept. 27, 2018 (GLOBE NEWSWIRE) — MariMed, Inc. (OTCQB: MRMD), a professional cannabis organization that develops cannabis facilities and brands of cannabis infused products in multiple states throughout the US, announced today it had consummated its strategic investment in Sprout, an all-in-one CRM and marketing software company for marijuana dispensaries and cannabis brands. This completes the previously announced MariMed LOI for investment in Cannabis Venture Partners, parent company of Sprout. Sprout’s CRM and marketing automation software combines technology, data and content to help dispensaries and cannabis brands increase sales, improve customer loyalty and reach more customers. 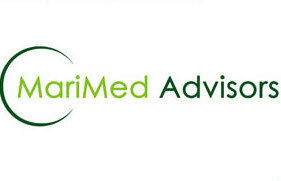 MariMed intends to accelerate the growth of Sprout’s client base by marketing it to the top dispensaries and cannabis companies in the United States. 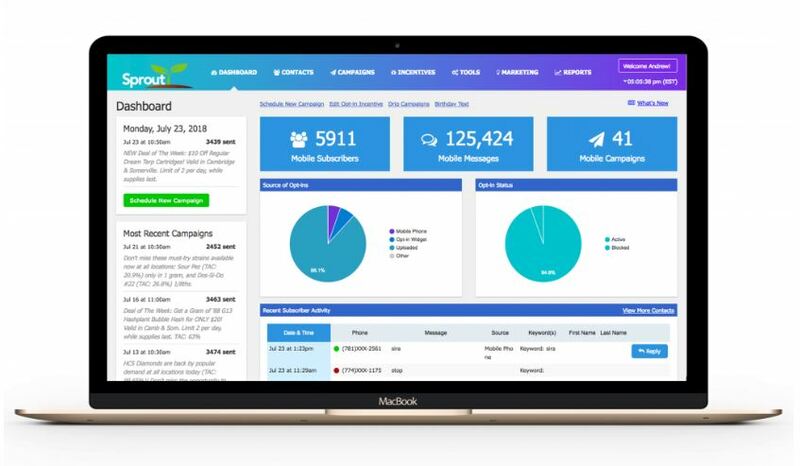 MembersRSVP, LLC flagship technology, Sprout, is an all-in-one CRM and marketing software designed for dispensaries and cannabis brands. Sprout’s easy-to-use CRM and marketing software automates some of the core functions for dispensaries and CPG companies. Sprout clients typically achieve 10x return on their marketing spend to acquire and retain medical and recreational customers. 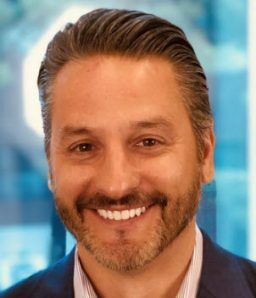 October 1st, 2018/Boston, MA/ – Sprout, the all-in-one CRM & marketing platform for the cannabis industry has selected SaaS industry veteran Roger Ciliberto to their new Vice President of Sales role. Ciliberto who has built several sales teams across multiple verticals, brings deep knowledge of the SaaS space and a process minded approach that has proven to be successful at multiple stops. “I have become extremely comfortable at launching sales organizations and putting the processes in place to put new sales organizations on a successful path”, said Ciliberto. “Given an opportunity to work in such a hot vertical with a proven product, and at an early stage company was something I could not pass up”. Ciliberto will be tasked with scaling the Sprout sales team and leveraging the newly announced partnership with MariMed (OTC: MRMD) and quickly creating new revenue opportunities for the company. 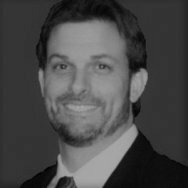 Said Sprout CEO, Jaret Christopher, “Roger is a seasoned sales leader with the proven track record. We were excited to be able to get him on board and we look forward to his immediate contribution”. Ciliberto has spent the last several years leading start up organizations such as TrueAdvantage, NetBrain Technologies and most recently Companybook, as well as more established companies OneSource Information and Aberdeen Group. He has also consulted at several stops with his own consulting practice, 3LConsulting Group. He recently published a book, Ketchup for Your Sales Process, which speaks to unique ways to open doors as a sales professional. He will began his new role officially, October 8th, 2018.